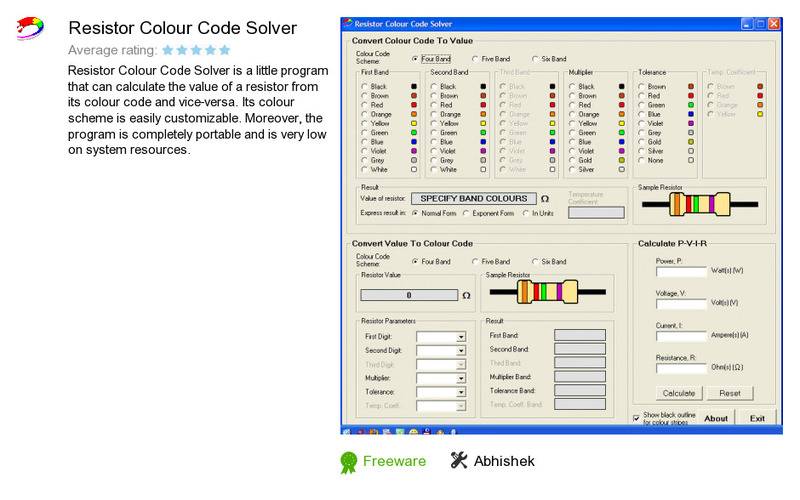 Resistor Colour Code Solver is an application developed by Abhishek. We know of versions 1.3, 1.2. Version 1.3.1 is downloadable at our site. Resistor Colour Code Solver package has a size of 339,695 bytes. Abhishek also publishes File Extension Changer.